The handmade pebble leather pinch pouch is designed to hold your accessories in style. Like the design? Let’s keep checking. 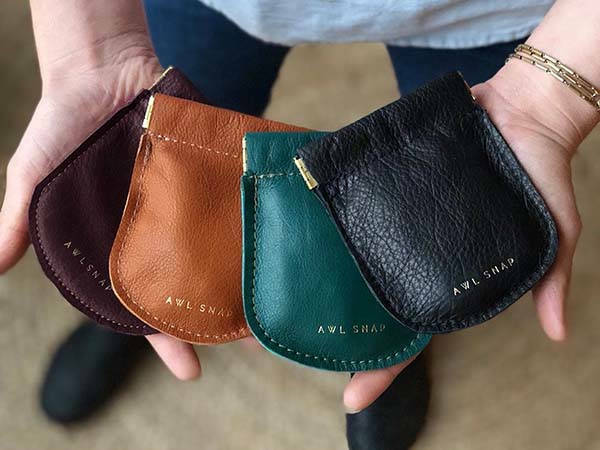 This is a beautifully designed and well-crafted leather pouch handmade AwlSnap, a handicraft studio from Virginia. The leather bag measures 3.5 inches wide by 4.5 inches tall. As we can see from the images, it delivers a smooth, pebble-inspired form factor, and it’s made from leather for durability and premium feel. Meanwhile, the tidy stitching not only delivers enhanced strength, but also complements to the classic aesthetics. Four optional colors ensure it meets more personal styles. 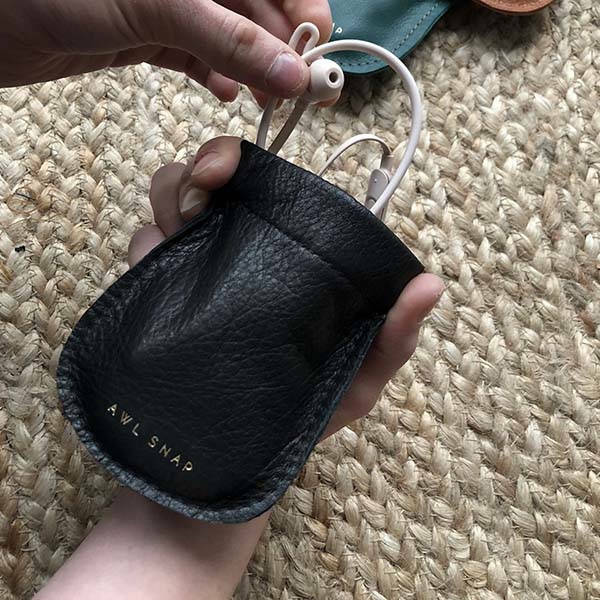 The leather pouch can be used to hold some small belongings like coins, cards, cash, or securely keep your jewelry, cables or headphones organized in place. The integrated metal frame not only keeps the opening closed, but also allows you to easily access to your items with a press on the closure. The handmade leather pinch pouch is priced at $28 USD. If you’re interested, jump to Etsy for its more details.